Happy Canada Day to my Canadian friends and an early happy July 4th to my US buds. As for everyone else not in those groups, happy Friday! Today isn't the greatest summer day (it's rainy, overcast, and on the cool side) but summer is officially here and has brought sandal season along with it. 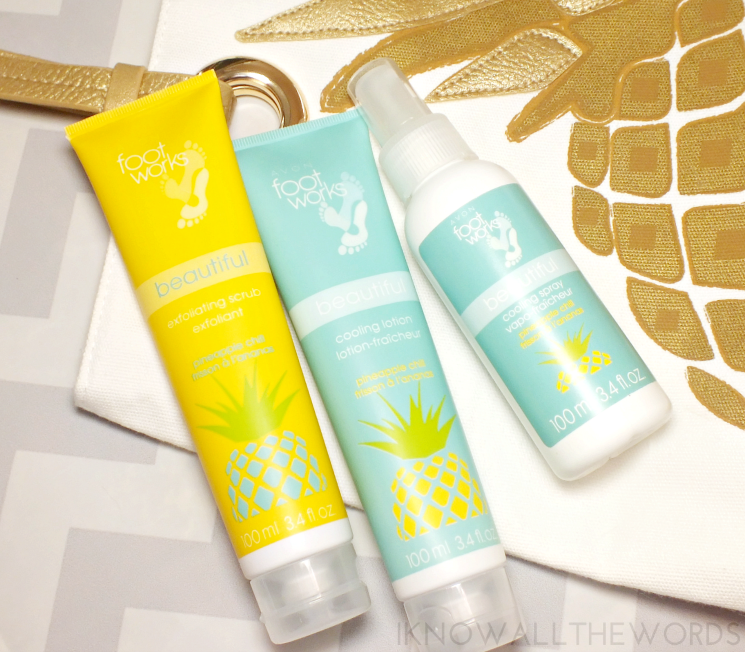 Avon has three new perfectly pineapple products to not only prep feet, but keep them cool on the hottest of days. Oh, and a super cute tote if you're really into everything pineapple. Read on! The Avon Foot Works family of products is all about feet (go figure..) and tend to have a limited edition summer range every year. This year, it's Pineapple Chill that combines the scent of sweet pineapple with a twist of tangy lime. The range is all about keeping feet hydrated and cool. To start off a Pineapple Chill pamper session, there's the Exfoliating Scrub. The light scrub gently exfoliates and leaves feet lightly hydrated after rinsing. The formula includes fresh pineapple extract and smells pretty incredible. For added hydration and a cooling effect after a long, hot day, the Cooling Lotion gives light moisturization with a gel-cream formula that cools as it absorbs. If you've been on your feet all day and they need an extra does of chill, the Cooling Spray works to cool, refresh and deodorize feet. It can also be spritzed into shoes for deodorizing and a hit of the pineapple lime scent. If a summer tote is what you're after, look no further than the very cute Avon Tropical Pineapple Tote. The white tote features an all gold pineapple with gold handles. It's got one zippered pocket in the interior and a magnet snap closure. The bag is a nice size, perfect for an everyday tote or small beach bag. Overall, some cute and pineapple-y bits to make summer a bit more chill. 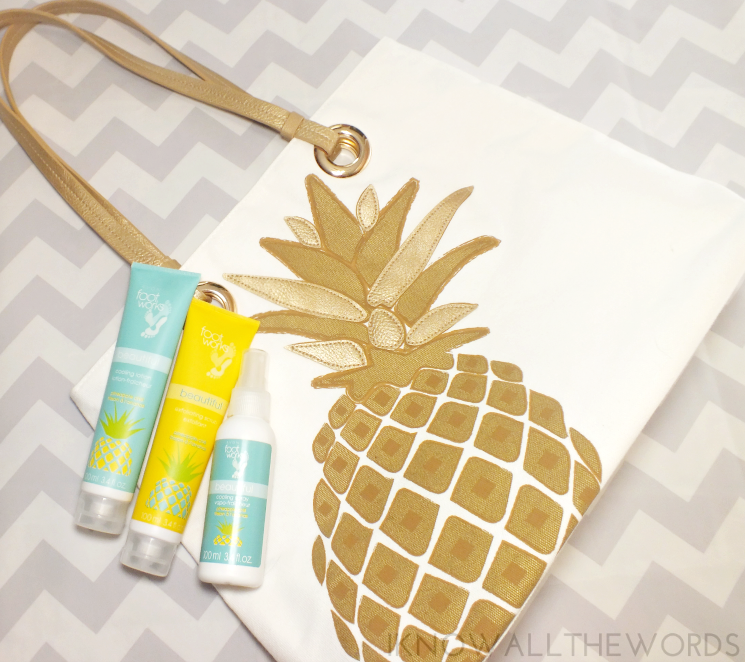 The tote is available now, with the Pineapple Chill products set to launch this month. What do you think? Could you use any of these products?